The data was added on ,	22 August 2017 read 520 times. The Lebanese Hezbollah resistance movement says it has used weaponized unmanned aerial vehicles to strike the positions of the Daesh Takfiri terrorists in the strategic and mountainous region of Qalamoun close to the border with Lebanon. Hezbollah’s media bureau announced in a statement on Monday that it had deployed the drones to hit Daesh positions, bunkers and fortifications in the area, located about 330 kilometers (205 miles) north of the Syrian capital Damascus. 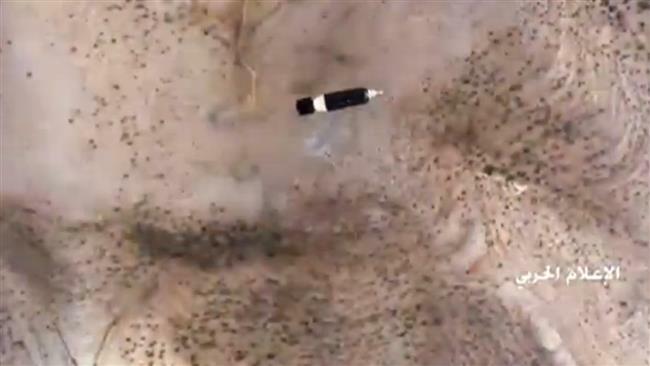 Video footage released by the media unit, seemingly taken from a drone, showed two types of missiles, one of them with a tail fin, cruising towards the ground and subsequent explosions as they struck the designated targets. Earlier on Monday, Hezbollah’s media bureau reported that the Lebanese resistance fighters and Syrian government forces had wrested complete control over Shoubat al-Dowab and Shoubat Beit Shuker heights in the western outskirts of Qalamoun. It added that Hezbollah fighters and Syrian army soldiers were in control of the strategic Qornat Shoubat Aakko district near al-Jarajir village in Syria’s southwestern province of Rif Dimashq. On Saturday, Hezbollah and the Syrian army launched an operation to purge Qalamoun from Daesh terrorists. In August 2014, the Jabhat Fateh al-Sham and Daesh terrorist groups overran Arsal, killing a number of Lebanese forces. They took 30 soldiers hostage, most of whom have been released.